Looking for the menu? It’s now in the upper left corner. Click on the three horizontal white lines. From there, you’ll be able to find information and check out the community page. Q&As, Stories, and Forums, Oh My! Q&As: Have a question? Ask the community! 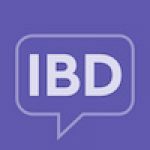 Stories: Share your story or read about others living with IBD. Forums: Post in our forum boards and connect with others. Make Our Community Your Own! Activity: Check in and let the community know how you’re doing by posting a status update – or see how others are doing today and let them know you’re listening! Profile: Update your profile info by clicking the small gear to the right of the messages. You can add a profile picture, fill out your personal profile, and adjust your notification or privacy settings. Happy exploring, and thank you for being a part of our community. Let us know if you have any questions in the comments below!